Do you ever feel like your marriage is living in between the lines of convenience and contempt? The place where the enemy whispers lies of mediocrity , while your heart tells you there’s something worth fighting for? Let me tell you, friend, protecting this union is something worth fighting for. God formed the union of marriage to be the very reflection of Jesus to a world craving unity, and true sacrificial love. And now, it’s under more attack than ever. But what is the real thief of your marriage? The time you spend investing in everyone else aside from your marriage? The ones who depend on you whether in the little or big years of taming these tiny humans God entrusted to your care? Your interests apart from your spouse? The desire to please people? Areas you serve in your community or at your church? Brace yourself. Are you ready? The real thief in your marriage is forgetting to notice. Simply forgetting to notice your spouse. The one God designed for you to DO LIFE WITH. Together, and for His Glory. Forgetting to notice the big things, the small things…. Forgetting to notice not only your spouse, but each other. Forgetting to notice in the busy seasons of life that the TWO of you are worth fighting for. Because as a union set apart and designed by God to bring fulfillment and security with Him in the center, we deserve more than each others leftovers. God designed marriage not to be perfect or without conflict, but rather to provide partnership, spiritual intimacy and the ability to pursue God not just as individuals - but as a sacred union before Him. We are called to model Christ towards our spouse. There have been times in my marriage when dare I say, I feel lonely sitting next to my spouse. Where we’ve been on date nights (yes! Date nights!) and I’ve felt disconnected. But as God continues to refine and reveal to us, that sometimes we need that space to realize our deep need for Christ in our marriage, and apart from each-other. But first, it takes us noticing. Us noticing when we’ve been working too much overtime. Us noticing when we’ve put the kids (activities, needs, schedules) above each other. Us noticing when those schedules have not been a reflection of Gods plans has for our life. Us noticing when it’s been too long since we’ve had time alone to reflect on our dream, goals, or God's vision for our family. This space is the place where we notice, and where we fulfill God’s perfect order and design for marriage. Marriage is the first union God created, and it’s also the first one that was attacked. Marriage is designed to mirror God’s covenant relationship with His people, and the enemy would love nothing more that to destroy it, or even more subtly, to make you stop noticing, or as some would say, the “slow fade”. When a marriage does not function properly, or is un-aligned with Gods Word, it mars the image of God and it breaks down every area of society. A healthy marriage, breeds a healthy family, a healthy family breeds a healthy church, a healthy church breeds a healthy community, a healthy community breeds a healthy culture. I encourage you to notice today. The truth is, as we are to reflect the very image of God through our marriages, we deserve more than each others leftovers. Unless it’s Hibatchi and yum yum sauce, then the leftovers will do just fine… Only kidding…. Dayna is wife to her middle school sweetheart, and living out life in the little years at home with her two little heartbeats + cardio workouts (ages 1 and 3), Dayna's heart is dedicated to being vulnerable about the messy, mundane and magical moments of motherhood + marriage. 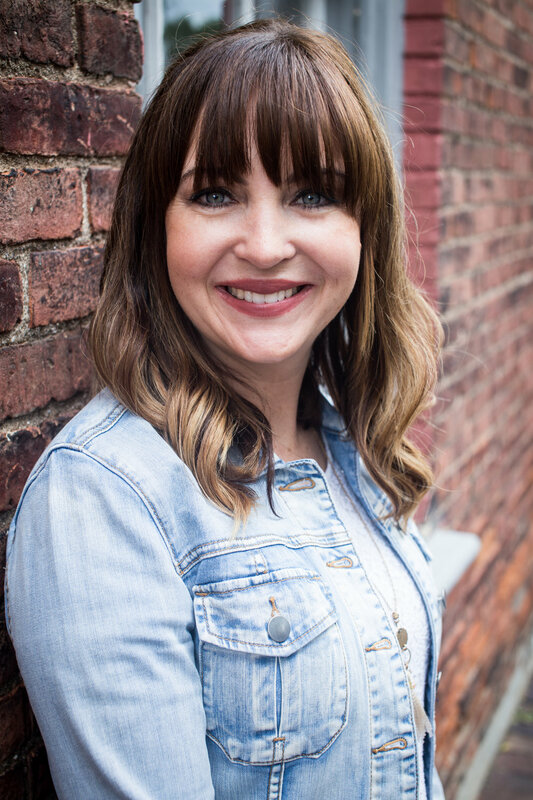 With artistry in the forefront of everything she lays her hands to as a professional photographer and writer enthusiast, Dayna’s ultimate passion lies in leading moms back to their identity rooted in Christ, while encouraging them to pause in the moments that make them feel alive.